Luglio e agosto Aperto. Ottima vista sull'oceano! L'unità Cleopatra è un'unità con due camere da letto sul lato dell'oceano con sistemazioni per quattro o meno con vista panoramica sull'oceano. . L'unità combina temi nautici con pini e uno schema di colori speziati di melanzane, salvia e ruggine con soffici tappeti e boiserie dipinte di bianco. La planimetria Cleopatra utilizza un ampio concetto di Great Room, con un camino in marmo che offre un centrotavola meraviglioso e accogliente. La sala da pranzo offre posti a sedere per sei, e la cucina è completamente attrezzata con tutti gli elettrodomestici moderni. Il divano imbottito per un comfort extra. La camera da letto principale a Cleopatra offre un letto king-size e un patio privato, l'altra camera da letto ha un letto matrimoniale. Ciascuno offre l'accesso a bagni separati di dimensioni standard. Dal soggiorno c'è la vista sull'oceano, e il suono favoloso ma sottile del surf. L'accesso alla spiaggia pubblica alla spiaggia privata e isolata STRANDS BEACH è tramite scale nel County Park direttamente dall'altra parte della strada. Abbiamo un bagno per gli ospiti con vasca e doccia e anche un bagno padronale con doccia per coloro che preferiscono una doccia. .
We loved the location and condo has everything you need and more. Perfect for walking to beach, a few restaurants and trolley stops. Pool facilities were added bonus. Beach is fantastic! Just be ready for the stairs and hills to access. We really enjoyed our stay here, there's a view of the ocean in the front, view of the pool in the back, and a really amazing location to stay. The owners are very attentive and helpful with anything that you need. The condo is Cleopatra theme with lots of purple so that may or may not be your taste, but still fun for a while. Jason, I really enjoyed meeting the three of you. So happy you both found a nice place for your new job here. Santa Barbara is a beautiful city and you will find this area here is quite similar to it also. I have been renting from Betha for over 15 years now. So you can say that this on-line review is long over due. I love all of Betha's condos but the Cleopatra is by far my favorite of them all. I always feel right at home when I stay at her condos. The condo is well equipped with all of the amenities that you will ever need. Betha is extremely attentive to all of your needs. The ocean is just steps away from the condo. I love to get up early and go for a long walk along the beach before the sun rises. The walking path will take you right down to the beach where you can see the beautiful homes that overlook the ocean. I also like to take a short walk across the street after dinner and enjoy the beautiful sunset. The area is so peaceful. Everyone is always so friendly. Laguna Beach, Dana Point Harbor, San Clemente and Newport Beach are all a short driving distance from the condo. There are many great restaurants to choose from. There is a great deli less than a mile away called Beach Hut Deli. It has the best gourmet deli sandwiches and it is reasonably priced as well. It is a great place to go when you just want to get a quick bite to eat or just pick up something after a long day and head back to the condo. It is located off of Pacific Coast Highway (PCH) and Ritz Carlton Drive. I love to drive to Dana Point Harbor to enjoy the ocean views and the sunset. You can park at the Ocean Institute and walk around the back of the building toward the ocean. There are several benches to sit on. I can just sit there for hours watching the waves. It is so serene. There is a Cultural Center and Gardens in San Clemente called Casa Romantica. It has the most amazing gardens and views of the ocean. Bring your camera, I promise you will get some of the most beautiful pictures. I always look forward to going back to the condo after a long day. I like to kick back on the comfy sectional sofa and turn on the huge flat screen TV in the living room. I almost always fall asleep while watching TV. It is so peaceful and comfortable. If you open the windows in the living room and the sliding glass door in the dining room there is an amazing ocean breeze that blows through the condo. It is such a safe area that I often open the front door to enjoy the ocean views and breeze while watching TV. I am looking forward to staying at the Cleopatra again in a few weeks. Deb: Wow what a wonderful review. Thank you for that. I really enjoyed reading it but most of all I want you to know, you have been such a wonderful guest along with your family members too... It has been my pleasure having you come and enjoy beautiful Dana Point. The weather is hard to beat any time of the year. Here is a list of several reasons this is a 5 star property. The condo is perfect for a family of 4 but does sleep 6. The beach is stunning and so close - just a short walk and your there! You can see both the ocean (front window) and the pool (back window) from the condo living room. So So quiet!!! Perfect for a picky sleeper. The people around are very respectful and noise is practically non-exsistant. Kitchen had everything we needed and more. Rooms had lots of closet and drawer space. It was pretty clean. There are a few decorations small children may be tempted to touch (mine are both over 9yrs and were just amused). Condo owners were such lovely people and were just a phone call away if needed (I forgot the condo code, had to call after 10:00, they were so sweet about it). My kids want to make this vacation a yearly event. We felt so lucky to have such a great place in such a beautiful location! We had a great time staying at the Dana Point Properties in Dana Point CA while my little girl attended the Endless Summer Surf Camp in San Clemente. The amenities were perfect for our family, my older children enjoyed the ambiance of the condo, the nearby pool, and of course the beach right across the street. 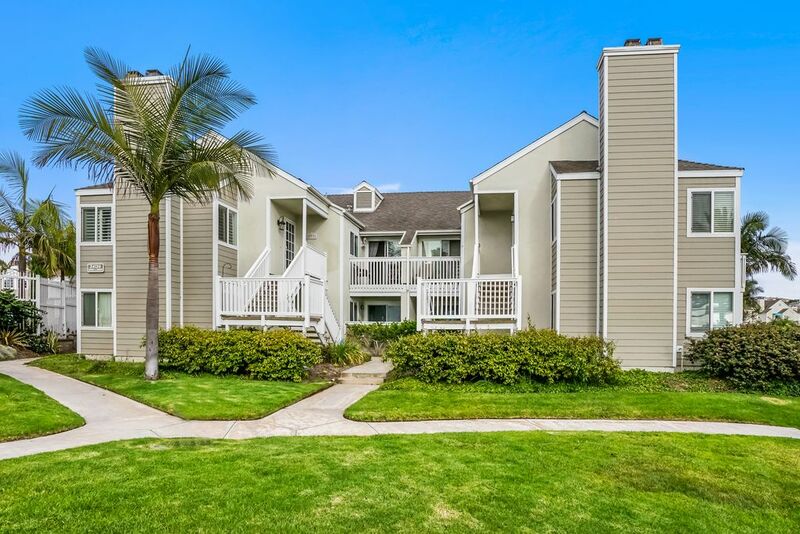 The location was just minutes from Laguna, San Clemente and was nearby all kinds of convenience stores. My children all stood up on surf boards and had a great time at the camp. Everything I needed was in the condo, from paper towels and toilet paper, to kitchen equipment, silverware, and detergent. I only had to buy food. Think I save money on the fact that I didn't have to eat out every day. Shopping nearby was convenient. My condo was neat, clean, and had TV, internet, good ventilation with fans and windows open, and my landlord couldn't have been nicer! I almost don't want to share my opinions about this to keep it a secret, but I guess I just have to let others know how nice it was! Anna: Thank you so much for your kind review about your vacation experience here in Dana Point. I just knew you would like Dana Point and our beaches here. I am so glad your daughter especially enjoyed the surfing camp she attended. She will be our little surfer of the future. I think 10 years old is a perfect time to begin lessons. I am glad she enjoyed it and was so successful too. People love to surf here. Those surfers have so much fun every day of the year on that Strand Beach and Salt Creek Beach too. They never tire of surfing it seems; it is such a popular and healthy sport..
Intertional Surfing Museum, Shipley Nature Center. All payments will be made through VRBO or Homeaway. I am on Instant booking so feel free to book immediately if you desire. Pictures are all recent. I request $750 deposit that will go toward your full rental fee and 30 days before arrival full amount is due.